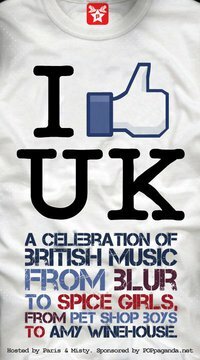 ‘I Like UK’ A celebration of British music. Some might say “The land of Fish and Chips”, Come and celebrate the United Kingdom, the place where the best music has been delivered to your ears. All night long with the sound of UK’s trademarks: Britpop, Punk, Pop, Girl Group-Boy Band, Teen idols, Synch-Pop from the 80′s to present. Dress Code: Anything UK, from traditional British to London chic, Union Jack, Dr. Martens, Paul Smith, Burberry, Vivienne Westwood or you can try being Hooligans! (The Royal Bangkok Sport Club) Rajdamri, Pathumwan, Bangkok.